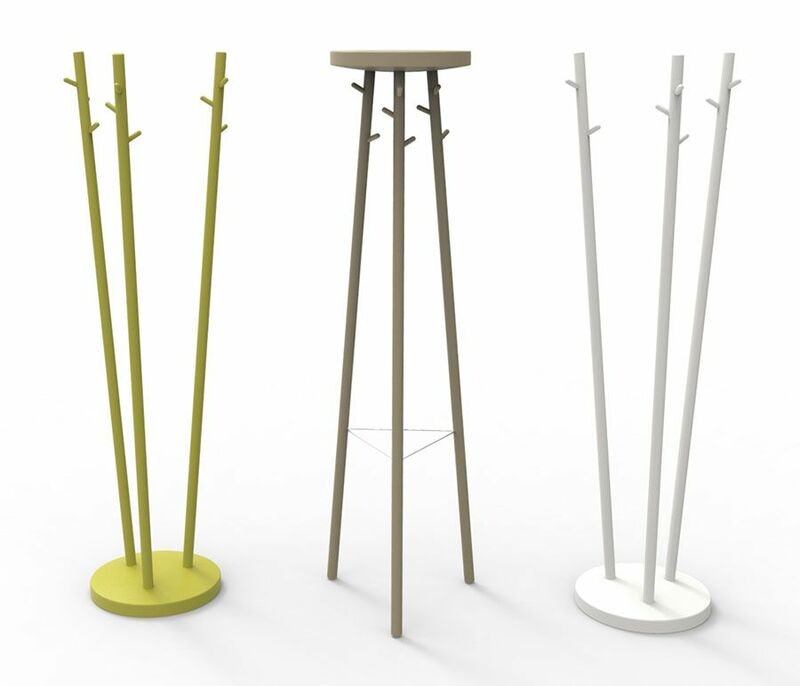 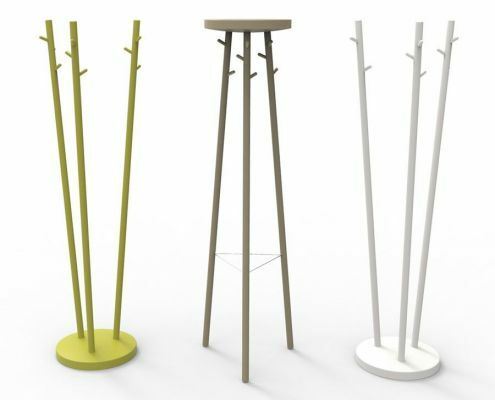 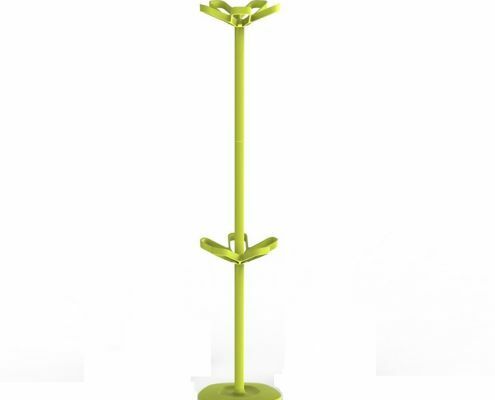 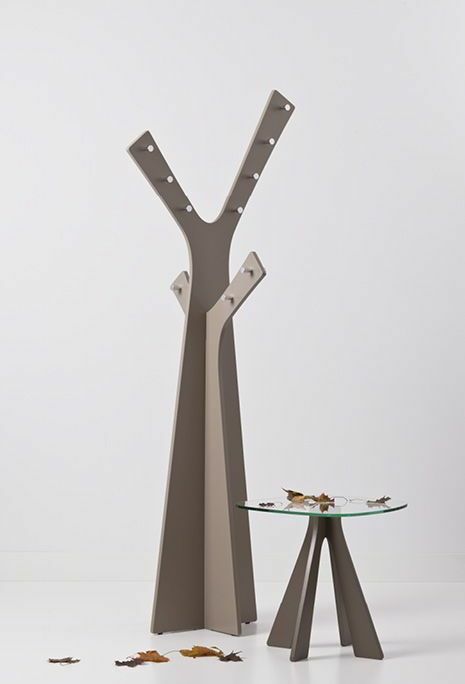 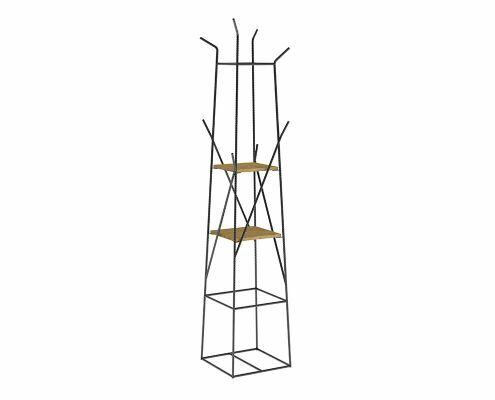 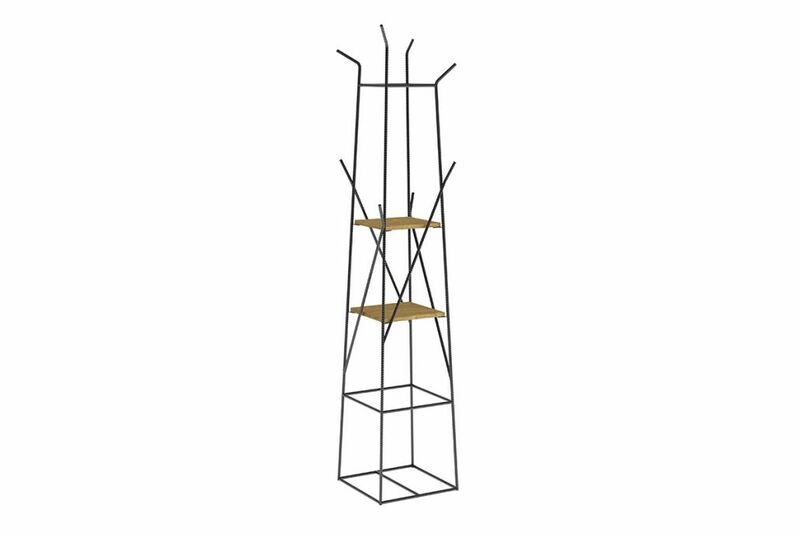 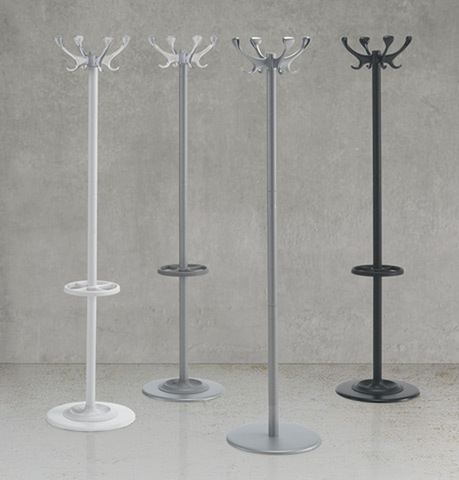 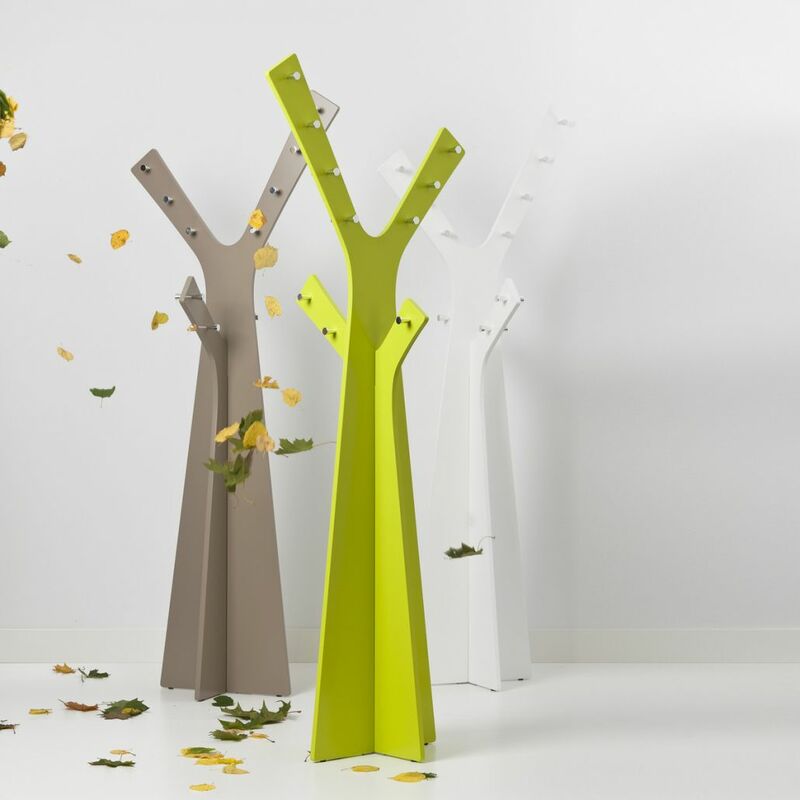 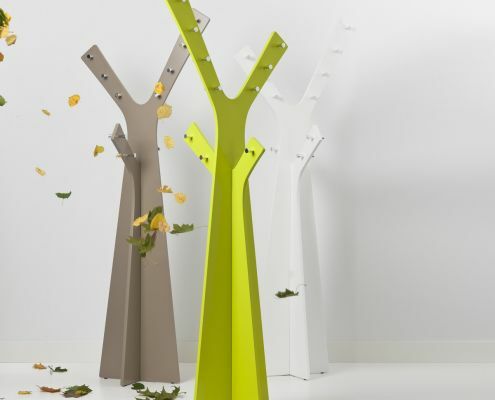 Tree themed coat stand lacquered with 20 polished aluminium pegs. 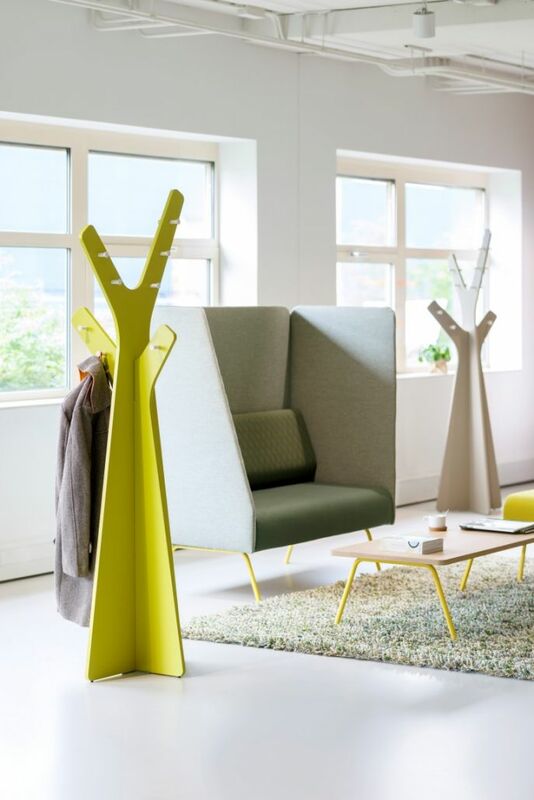 White, Lime Green or Warm Grey Light. 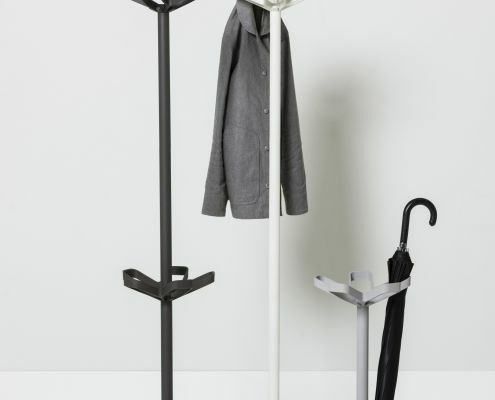 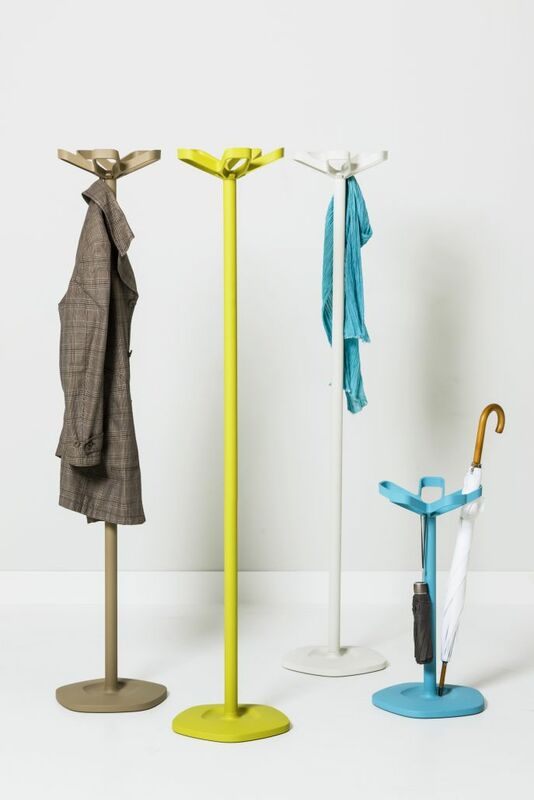 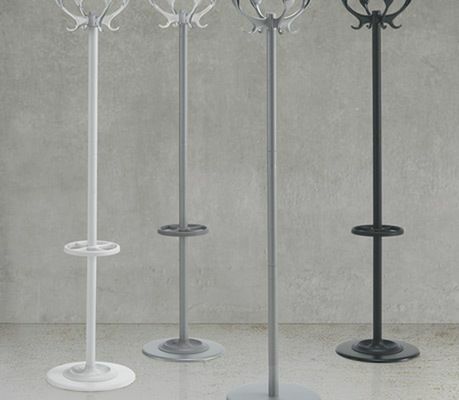 Modern and fresh take on hat and coat stands. 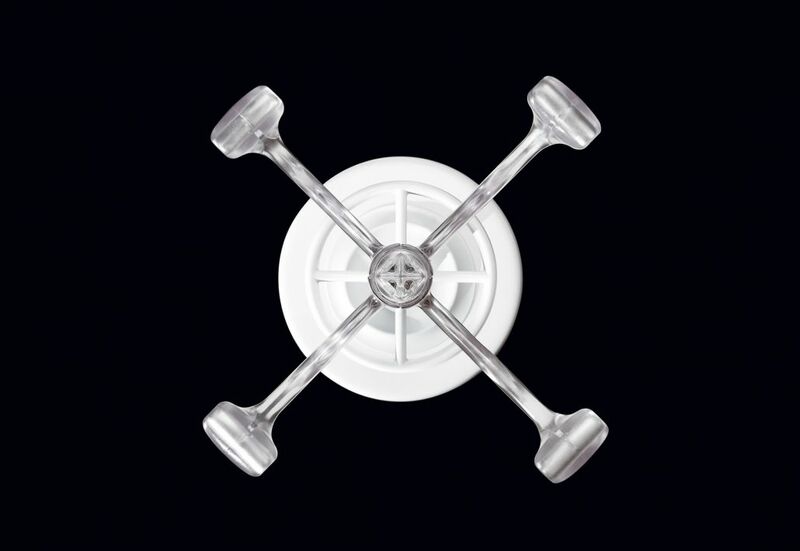 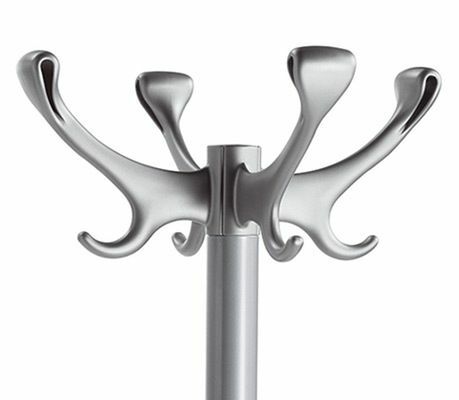 Not just functional – but an art piece in itself. 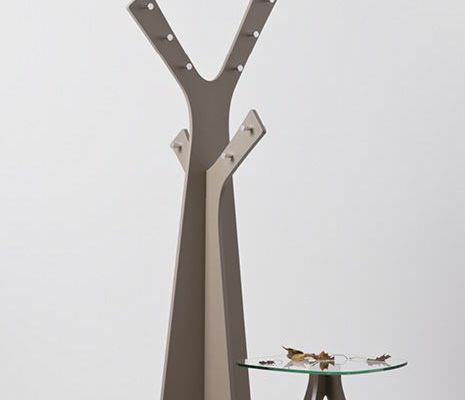 Raw industrial rebar material used for a stunning industrial finish. 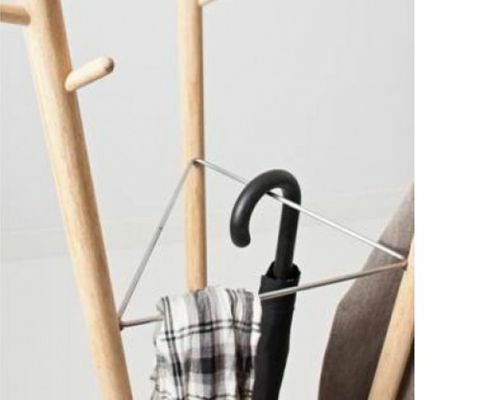 Easily relocated around the office or home for your convenience. 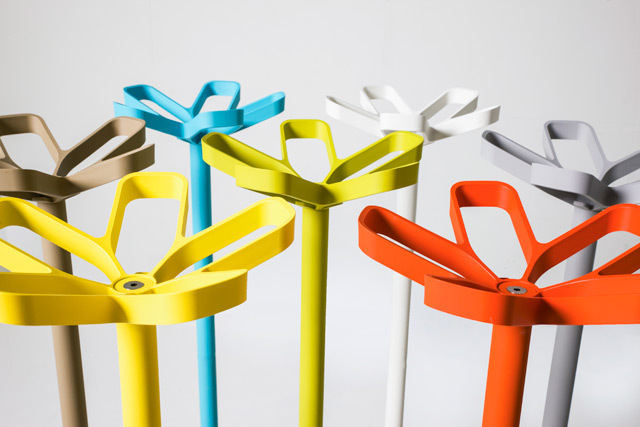 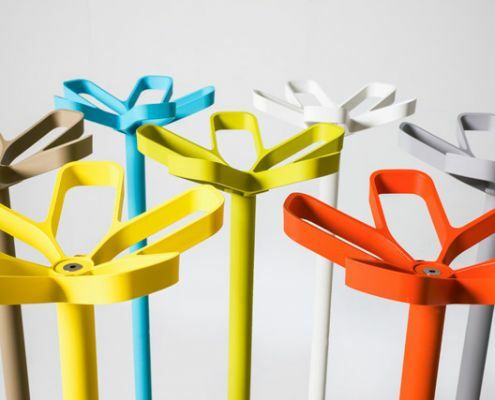 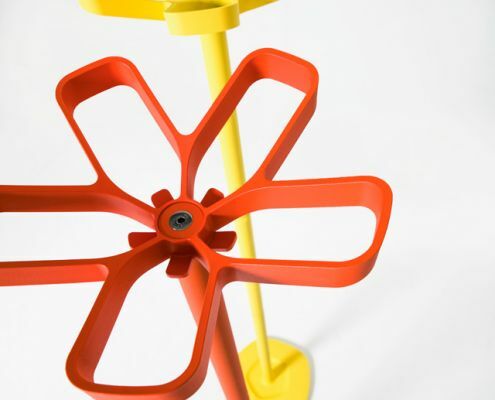 The iconic characteristic of the flower stand is the beautifully formed petal shapes which give the stand its name. 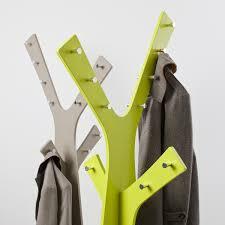 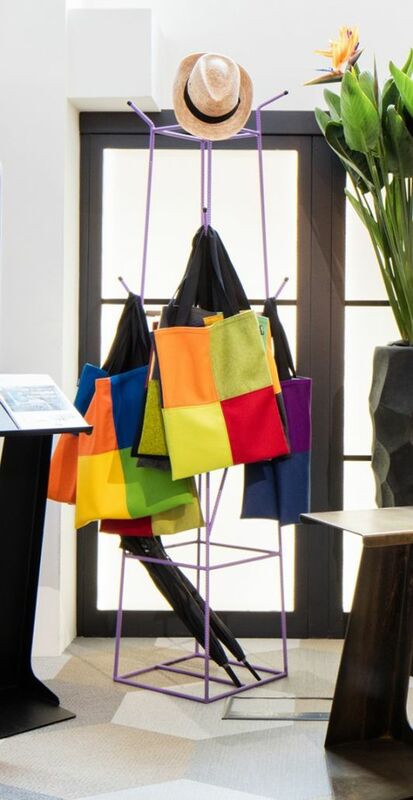 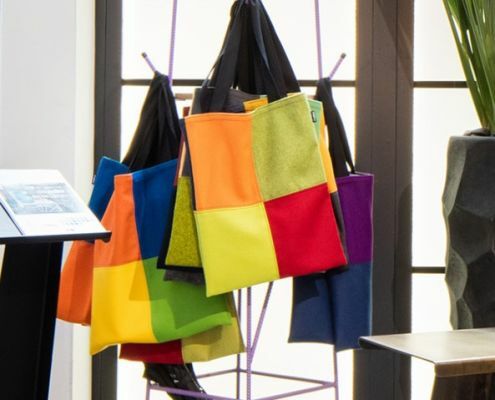 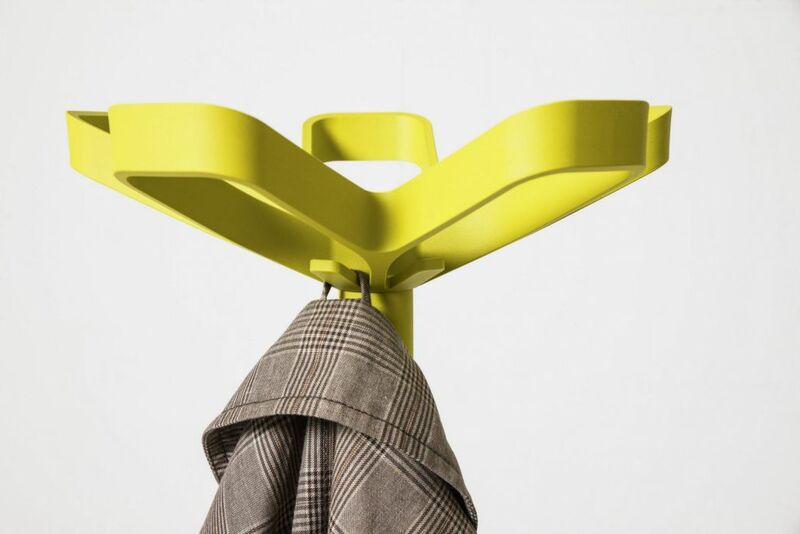 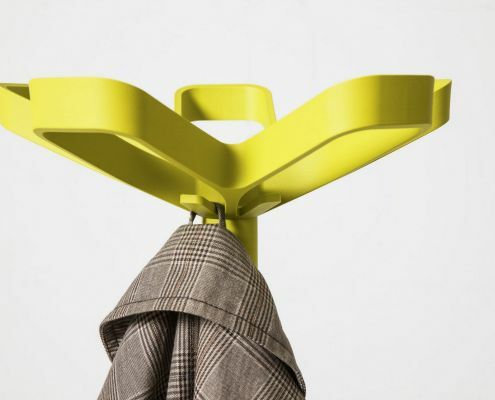 Among the larger coat hooks are smaller loop hooks ensuring the coat stand will boast at least 10 coats. 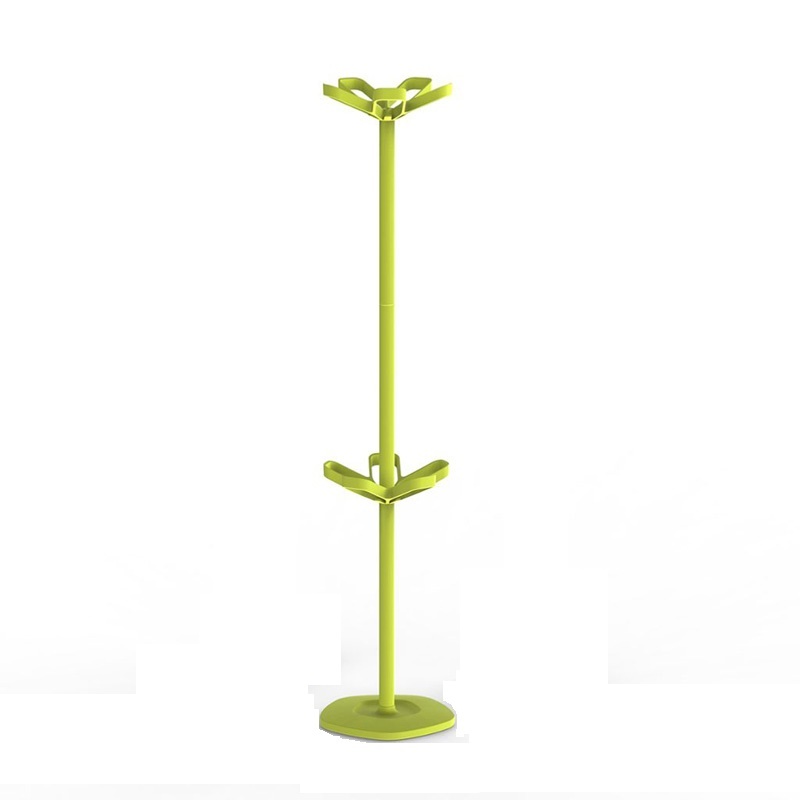 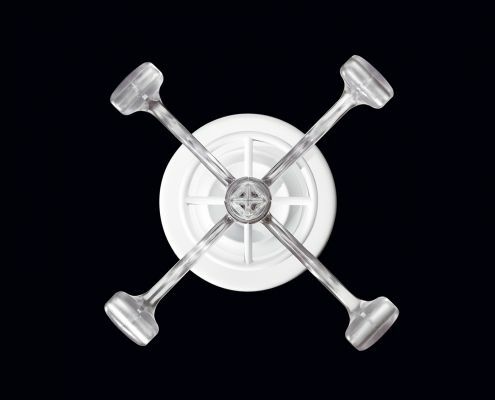 The strong base is solid cast iron, stem power coated steel and the crown is made of plastic which can be customised in different colours. 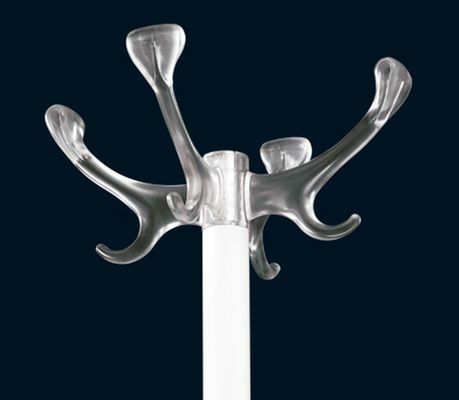 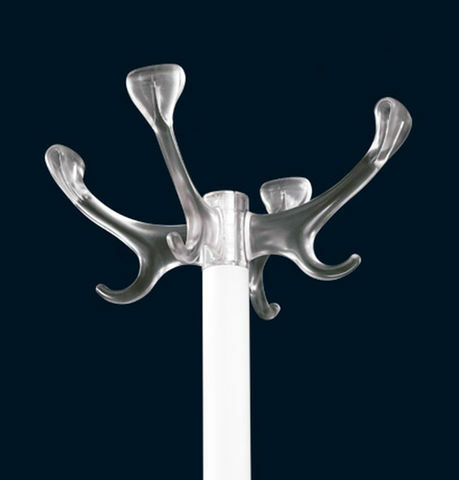 Designed with the thought of a stag’s antlers, representing strength and robustness. 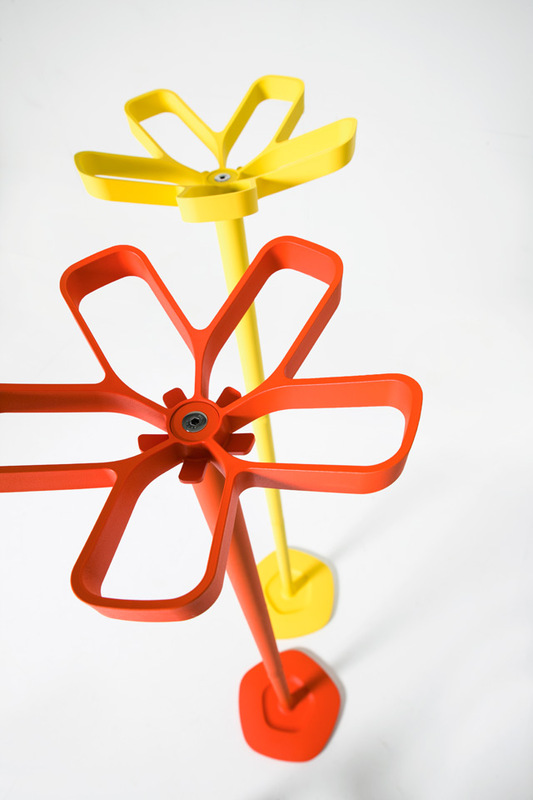 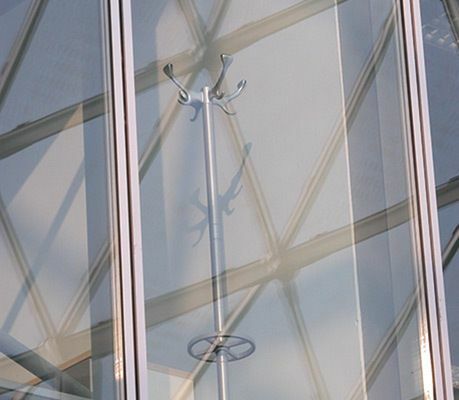 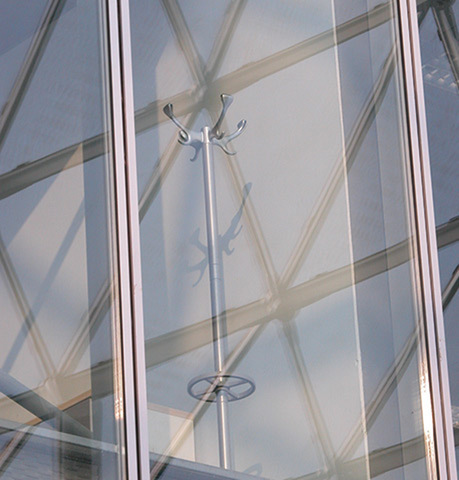 Powder coated steel base and high tech polymer. 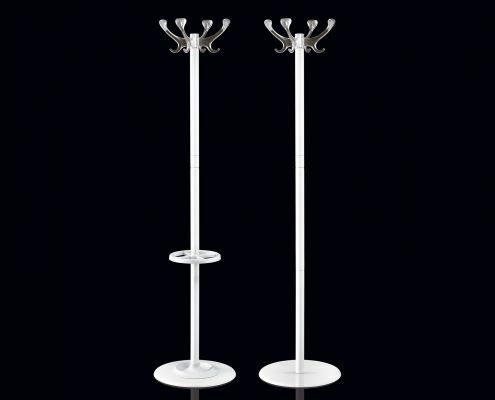 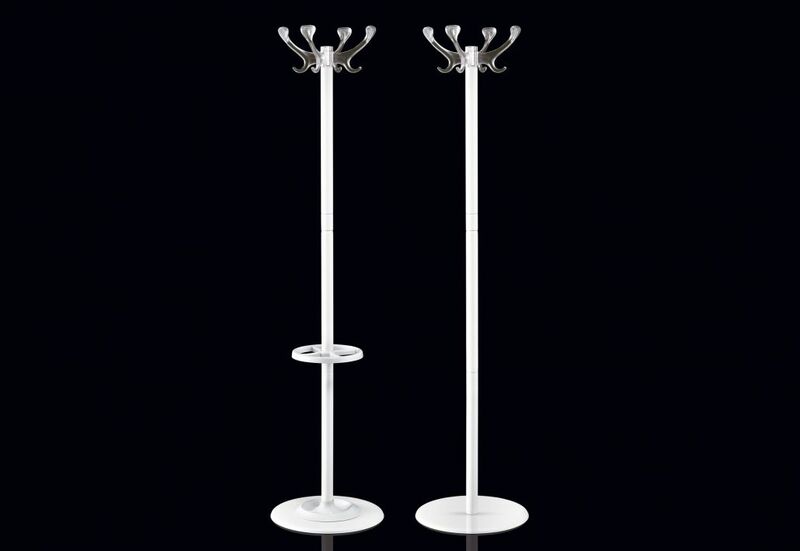 Available in black, silver grey, white and transparent. 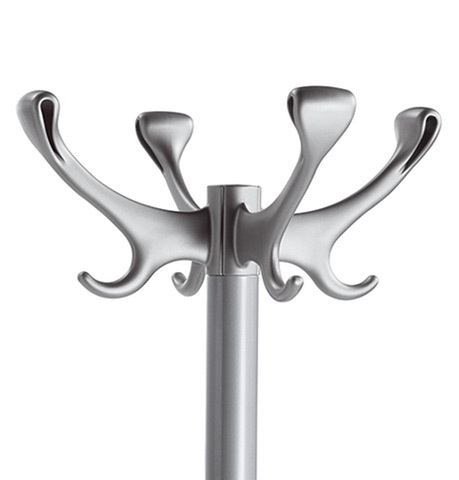 Twist is a classic design with a ‘twist’. 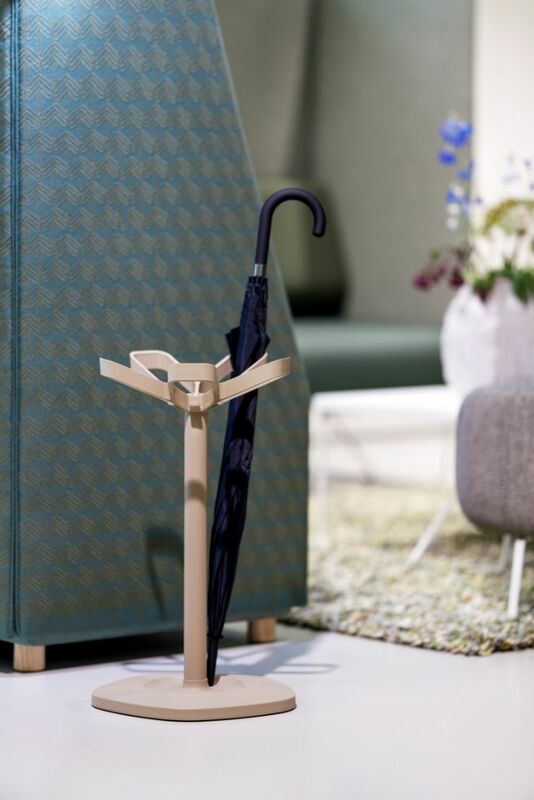 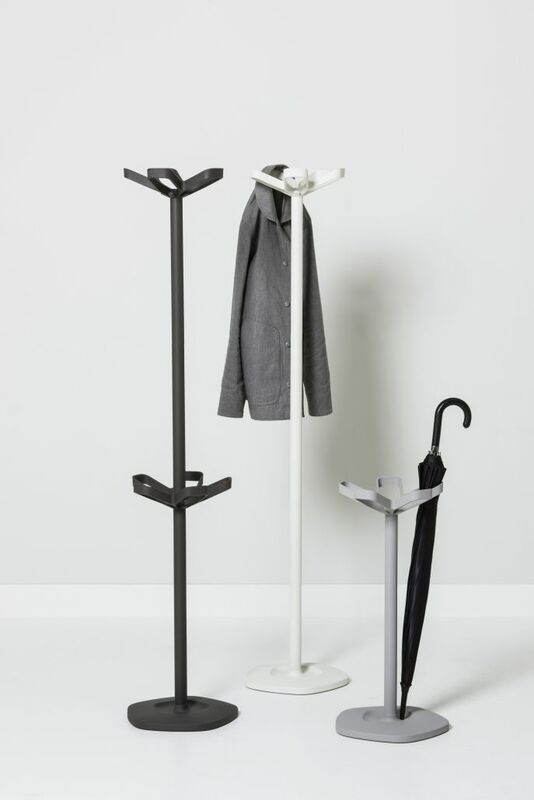 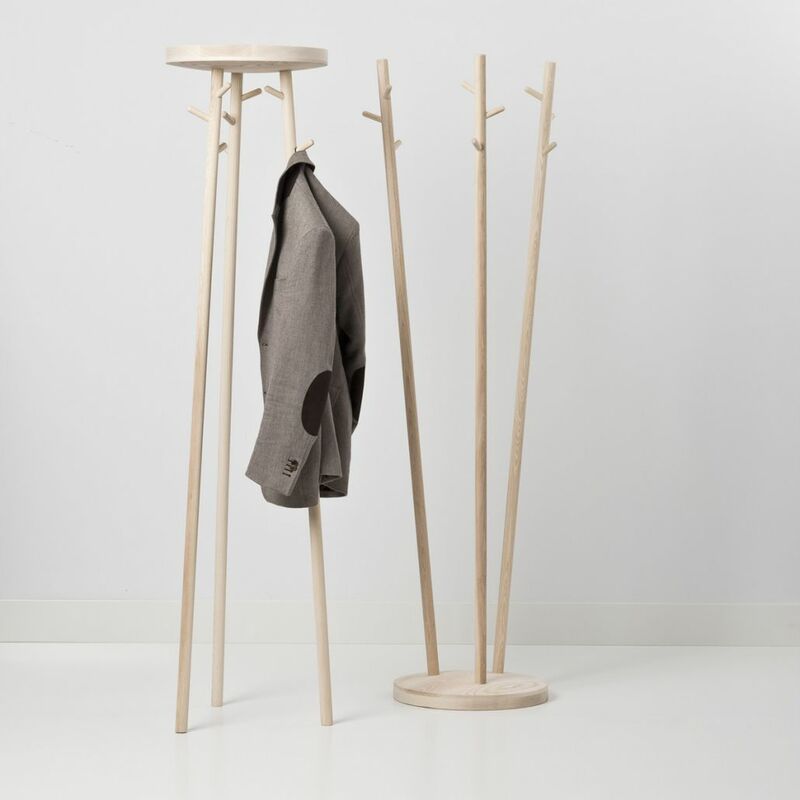 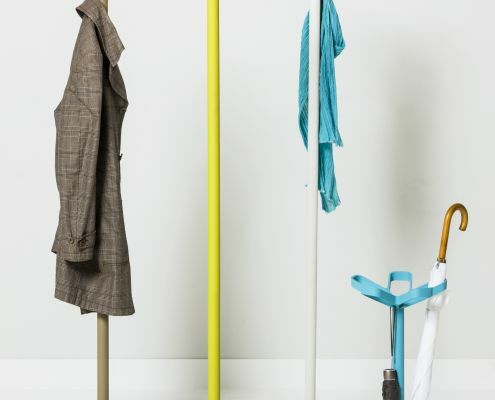 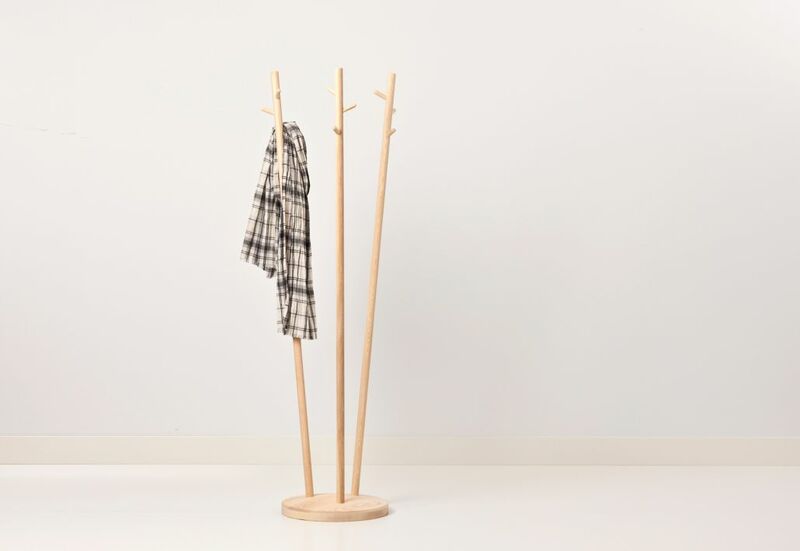 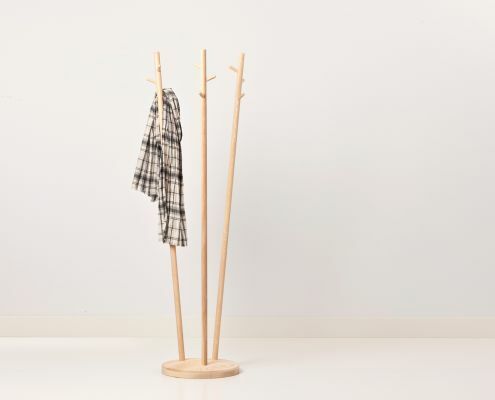 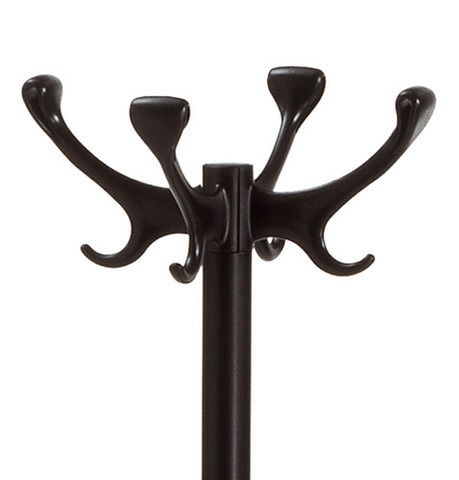 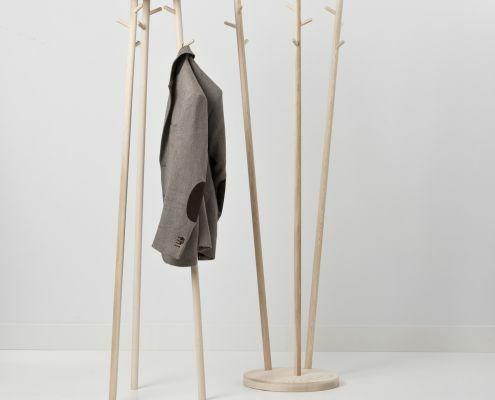 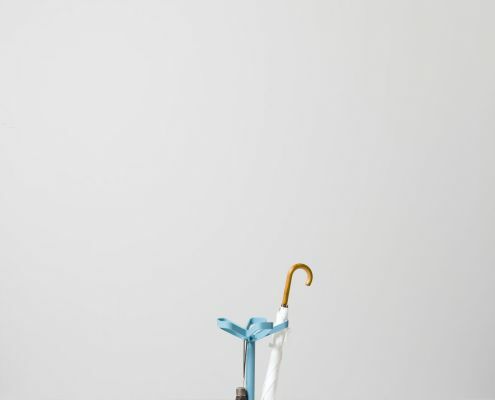 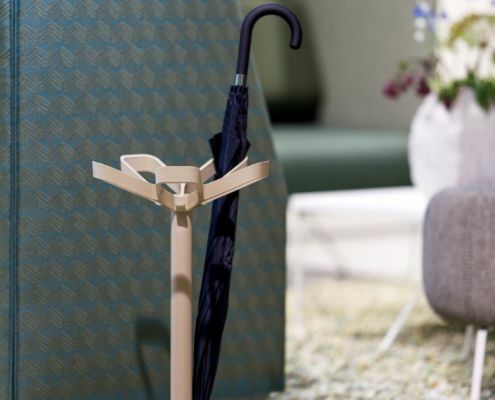 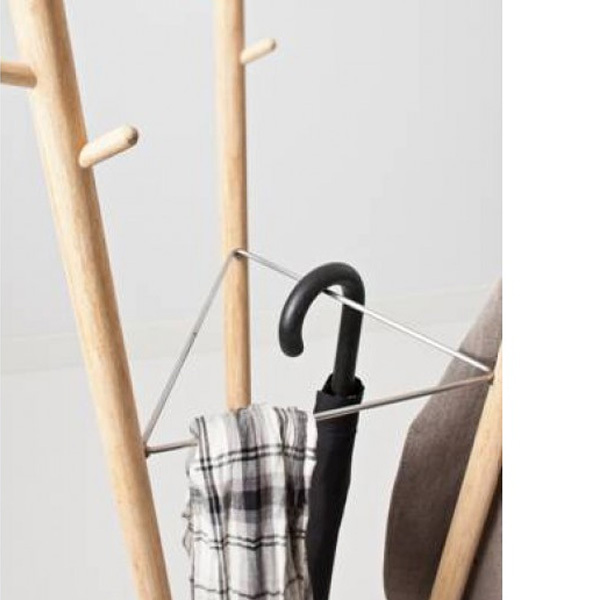 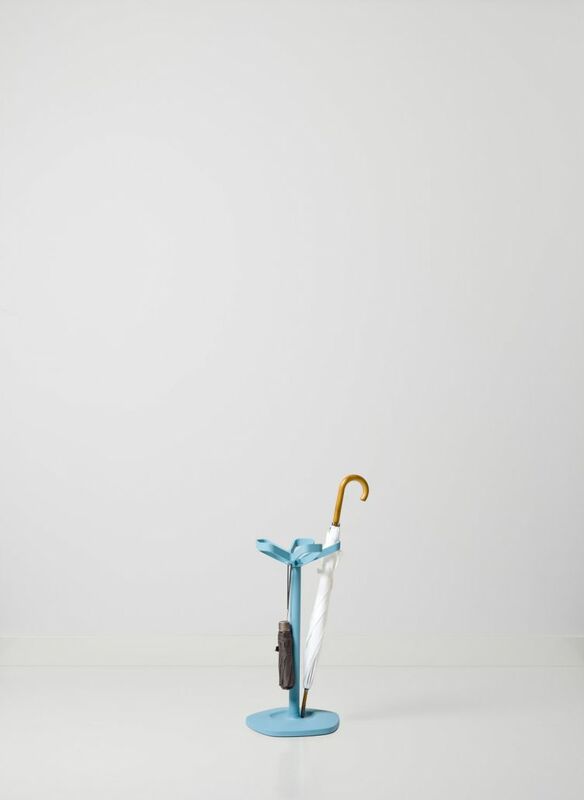 The use of charming wood timbers gives this coat stand a warm and inviting appearance. 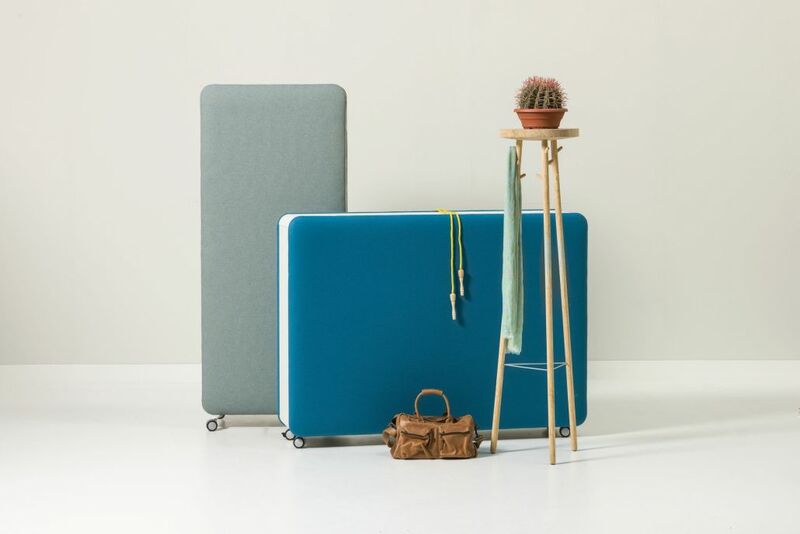 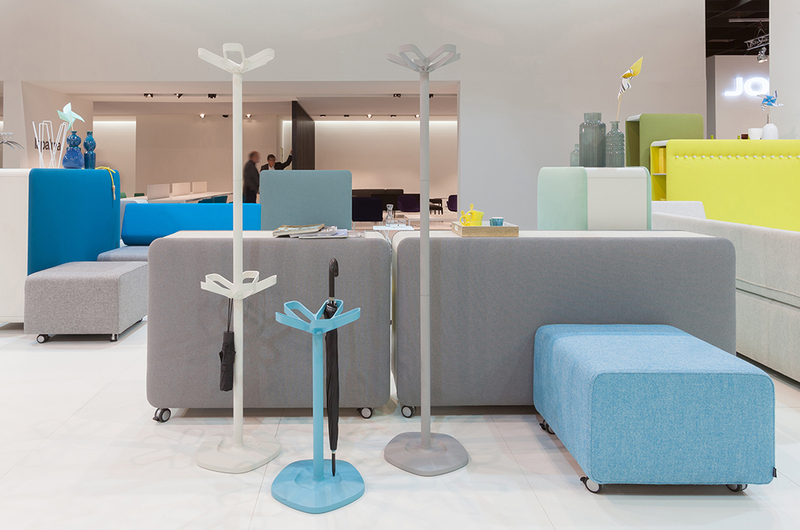 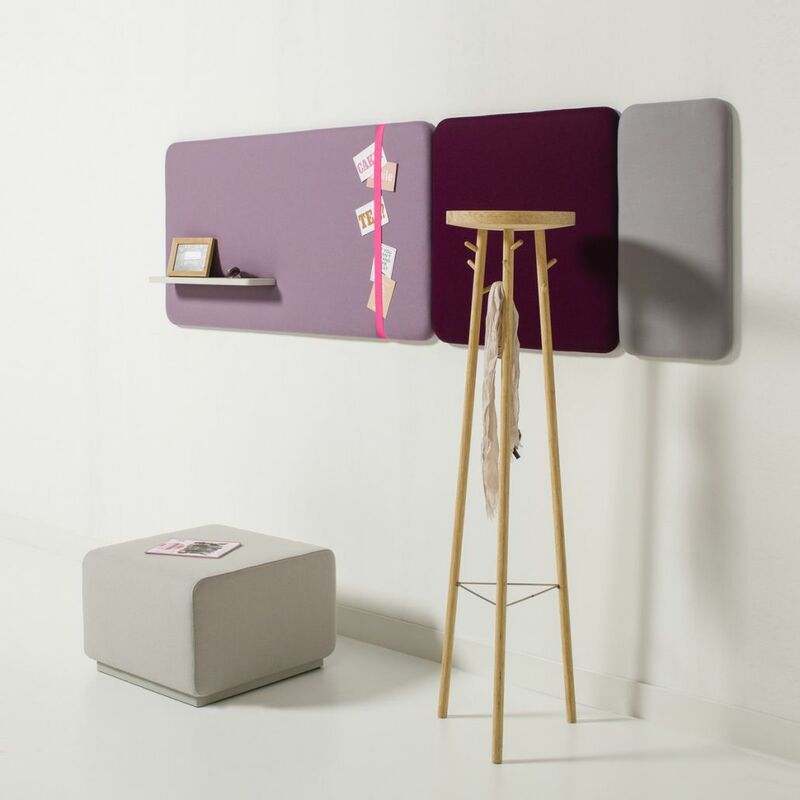 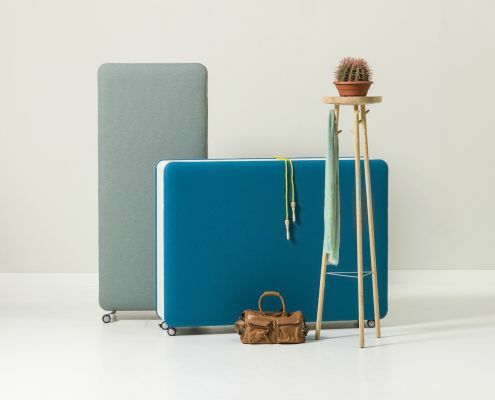 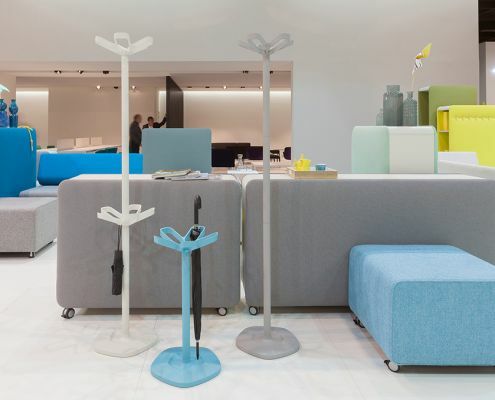 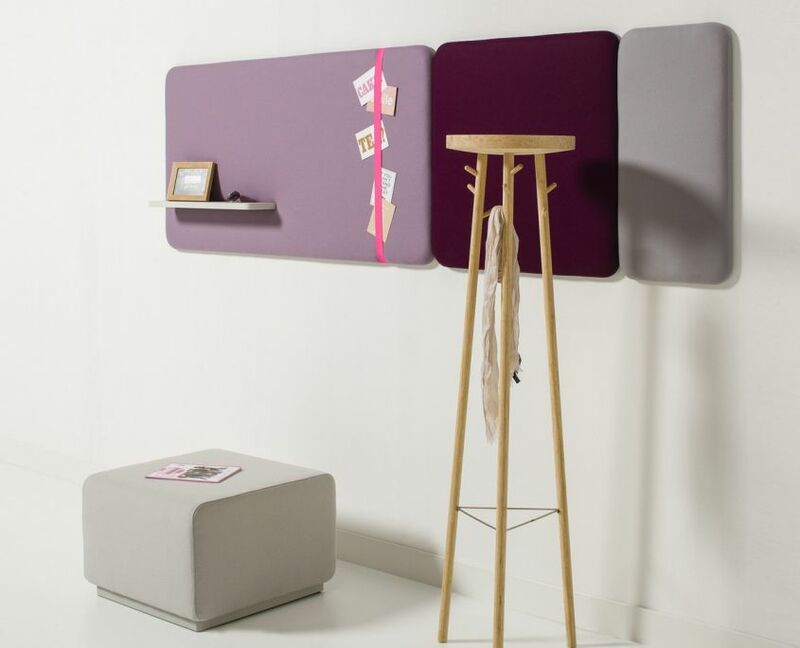 Twist ensures a relaxed, homely atmosphere in waiting areas, receptions, break out areas and offices. 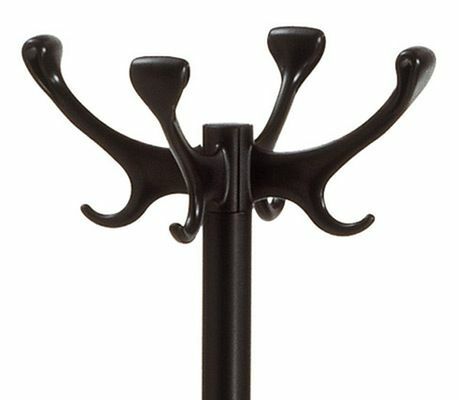 Holds 9 coats and is available in two variations.